For Two-Part Chorus of Treble Voices with Keyboard. Composed by Mexican Folk Song. 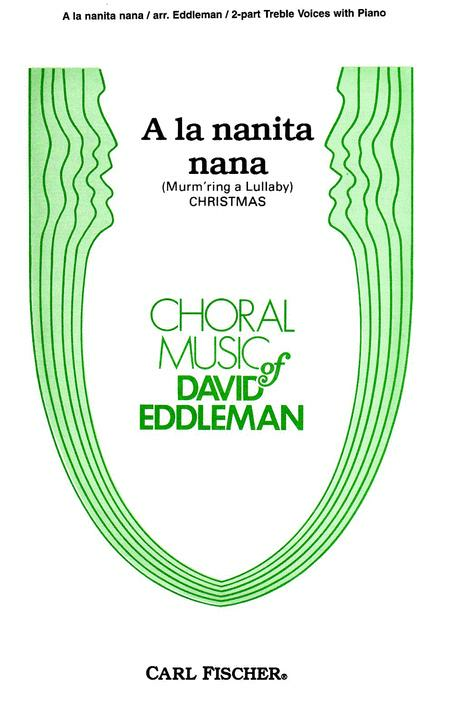 Arranged by David Eddleman. Choral. Piano reduction/vocal score. With Standard notation. 8 pages. Carl Fischer #CM08303. Published by Carl Fischer (CF.CM8303). ISBN 825804302. Key: D minor. Text: Anonymous; David Eddleman. A beautiful version of a Carl Fischer best seller, this 3-part arrangement, by the composer, of A la nanita nana is sure to duplicate the success of the original 2-part title. An enchantingly soulful tune is set simply with a sensitively wrought piano part that will touch the audience at any holiday concert. 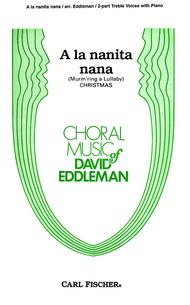 The piece can be sung (as here) in Spanish or in David Eddleman's own idiomatic English translation.